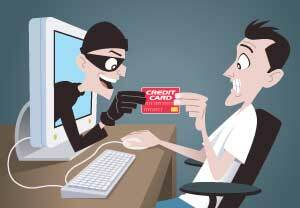 Scams, malware, and phishing schemes. Sometimes you can’t help but wonder whether personal computers and the Internet are all they’re cracked up to be. There’s no doubt that the prospect of winning real money turns some people into proverbial suckers. That fact isn’t lost on rogues who know how to set up sites that accept deposits in exchange for little more than screens full of flashy promises. But how do you discern pedigree and reputation in the virtual world? You need an online friend who understands the industry and cares about the value of a legitimate, quality gambling experience. That friend knows how to investigate online gambling sites, and track down what players are saying about them. OnlineGambling.com is that friend. Our staff spares no effort differentiating between the best and the worst online casinos, and spares no site reputation in reporting what we find. We’re like you, just looking for a safe and honest game. 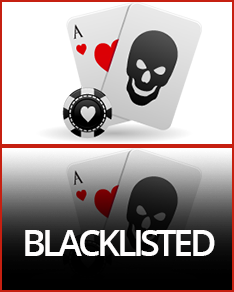 Keeps us close at hand so you can steer clear of carefully placed online casino landmines. In a perfect world, online casinos demonstrating such qualities would be shut down. Even in better regulatory domains, casino “groups” introduce and withdraw sites as though hosting a sad game of whack the mole. You need OnlineGambing.com’s ongoing research and analysis to stay on top of that cancer as it disappears and reinvents itself. Virtual Casino Group manages about a dozen online casinos that offer huge bonuses accompanied by rules that make them nearly impossible to actually withdraw. They treat players and advertising affiliates poorly, with dwindling customer service communication the moment you need it to collect real money you won fair and square. Teller Processing Ltd operates a handful of casinos that stopped paying their players, and whose phone lines and email addresses magically stopped functioning about the same time. Curgam Malta Ltd Group presents roughly a dozen online casinos that players have constantly complained about for slow and discontinued payouts, and even unauthorized credit card charges. Unanswered customer service inquiries only make matters worse for their victims. GoTo Entertainment Casinos operates dozens of online casinos that share a common backend and linked accounts. Numerous players have reported slow and nonexistent payouts, shifting rules, and customer service runarounds. Two directors from Everleaf Gaming Ltd were arrested for misusing nearly $1,000,000 of player funds. The Maltese Lotteries and Gaming Authority (LGA) eventually withdrew their license and shut them down in 2013. Casinoval.com regularly leads players wishing to withdraw winnings on a wild goose chase of promises that payment is “pending”. Three individuals were arrested in the Netherlands in 2013 for laundering drug money through their Netgaming Solutions company, which operated at least seven online casinos. Merge Gaming has been accused of covering up reported cheating and collusion ring activity on their poker tables, not to mention extremely slow payouts through frustrating customer service exercises. The biggest purge of all was April 15, 2011. On so-called “Black Friday”, the US government indicted nearly a dozen defendants associated with Pokerstars, Full Tilt Poker, Absolute Poker, and Ultimate Bet. The charges included money laundering and fraud. These sites subsequently banned Americans from real money tables. The majority of online gambling casinos are legitimate businesses working hard so you can play hard. But it only takes a couple bad apples to induce widespread doubt about the integrity of the online gambling industry as a whole. 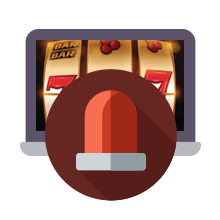 No matter how good claims may sound, it’s imperative that you consult OnlineGambling.com regularly to stay informed about who you can trust. Don’t lose precious time battling with con artists so you can withdraw winnings or even simply your initial deposit. There are far too many good online casinos for you to be getting stuck in the muck.